A heartwarming video of “wheelie dogs” from an animal shelter in Morocco is warming the hearts of dog lovers. 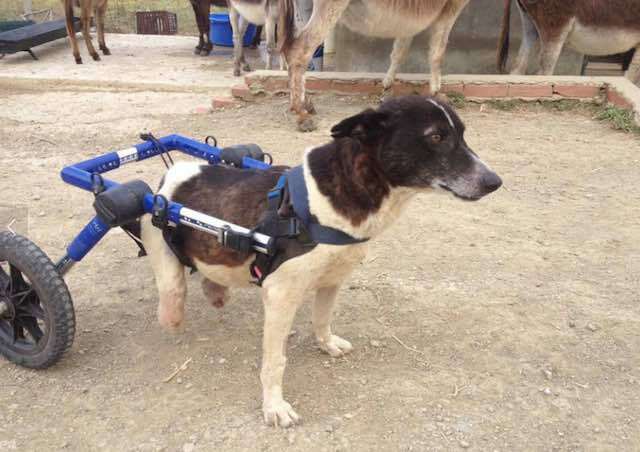 SFT Animal Sanctuary, based in Tangier-Tetouan, shared the video of some of its wheelchair-dependent rescue dogs playing an energetic game of tag. The shelter is home to 16 “wheeliebabies”, many having survived terrible ordeals. One such dog is Caesar. He was hit by a train and lost his rear legs, but he was left for days in agony until someone finally called SFT. These “wheeliebabies” are chasing after one of their pals, who is clasping onto a deflated ball. There’s tussling and jostling and lots of chasing proving that these tough dogs will let nothing stand in the way of their fun. SFT is currently home to over 300 dogs, and 500 animals in total. The sanctuary is run by a small, dedicated team of volunteers. The shelter relies completely on voluntary fundraising and donations. To find out more about SFT Animal Sanctuary and the life-saving work they do, visit their website.